Welcome to Agri Search India Private Limited, Manufacturer and Supplier of Micronutrient Fertilizers, Organic Fungicides, PGRs andBio Pesticides. We are an ISO 9001:2008 certified company, established in the year 2000. We serve to Agriculture and Fertilized industries. Highly Effective, Eco friendly and Easy payment modes make us different from others. We offer a wide variety of Organic Fertilizers, Amino Acid Chelates and Potassium Humate. 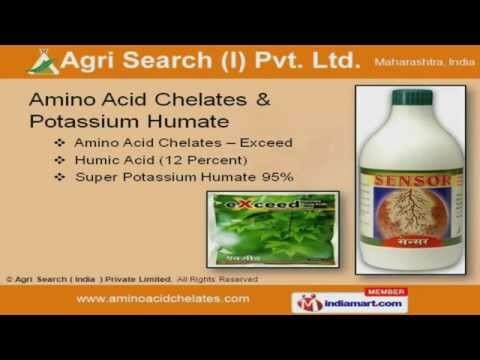 Our Amino Acid Chelates and Potassium Humate are extremely reliable. We offer Chelated Micronutrient and Organic Fertilizers that are nothing but the best solution for all your needs. We are a leading firm engaged in offering Plant Growth Regulators and Spray Adjuvant. Along with that we offer Salt of Phosphorus Acid and Bio pesticides. We offer an extensive array of Micronutrient Fertilizer Mixtures that are a class apart.